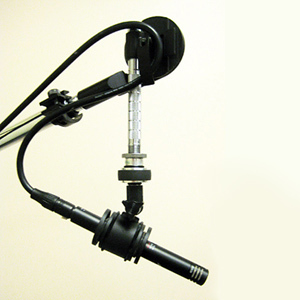 Our Patent Pending microphone mount mechanically decouples your microphone from direct contact between the microphone holder assembly and the microphone stand. 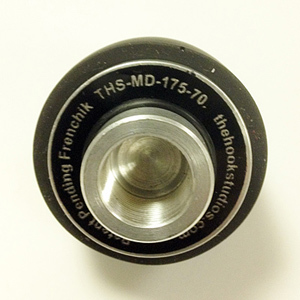 The Hook Studios Mechanical Microphone Decoupler is easy to use and universally compatible with most OEM microphone clip holders and mounts that use standard 5/8"- 27 threads. 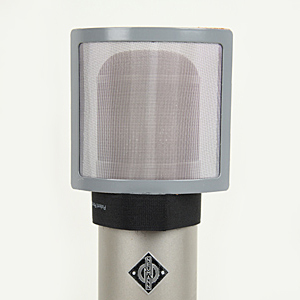 This product has been thoroughly field tested by independent audio engineers over a two year period. These tests revealed a marked reduction in "metallic" strike type impact sounds, as well as a reduction in vibration, unwanted floor noise, etc. In addition, the Decoupler may be used with an existing suspension mount to reduce vibration even further. Critical studio listening tests using the MMD reveal increased clarity of the recorded source, especially with loud guitar cabinets. Considerable vibration of stands, hardware, etc. typically occurs in such situations, interfering with accurate harmonic overtone reproduction of the intended source. 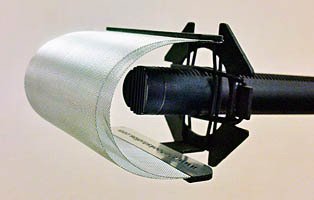 The MMD provides this decoupled suspension and vibration absorption regardless of the microphone's direction or angle. Our new THS-MMD should prove to be a useful tool in many environments including location audio recording, recording studios, live performance, etc. 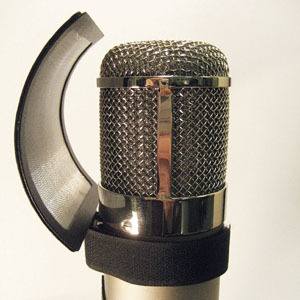 Each microphone decoupler is hand crafted in the USA, using custom machined aluminum fittings. The center compression absorber is manufactured by Sorbothane®, a leader in shock absorption and vibration isolation technology. Our MSRP Retail target price will be approximately $45-$65. 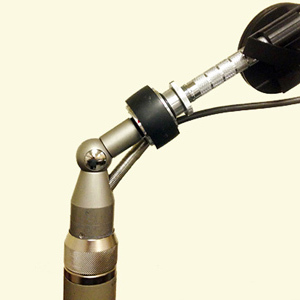 Contact us for a free consultation and/or custom fitting of the Mechanical Decoupler to your specific microphone. 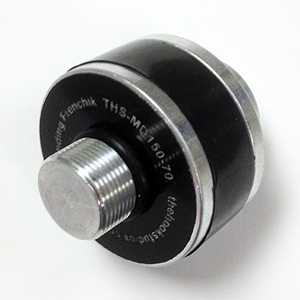 The THS-MMD's compact and rugged construction delivers consistent performance and is backed by our one year guarantee. "The one I have is all over this new Mother Feather record (and a bunch of other stuff, too). I'm getting specific guitar tones that I'm looking for more quickly and they sit better in the mix. Less vague, more clarity, more specific color, more attitude and vibe. The only thing wrong with it is that I've only had the one, so yes, definitely need a few more. My 4x12 especially has been sounding better than I've heard it before, with otherwise all the same gear". "We recorded a string quartet using your Decoupler Mounts on a pair of 67's and a C37. I really hear what they do!" "Dude, I love them!!! I'm in a 19 day record so I've been moving fast, but they are killer. God I love you". "Have been Very Effective out on tour!" 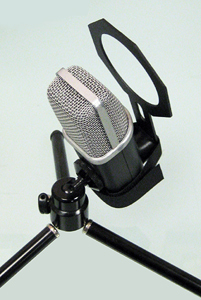 "WICKED shock mounts for mics that don't usually take shock mounts. They make such a difference! (I think they'll especially make a big difference on your omnis with their low-end sensitivity...)". "The decouplers really focused my electric guitar sound. It's most noticeable in the high-mids, especially with a multi mic setup. 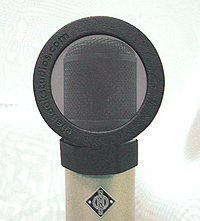 It also really helped with tracking background vocals - really minimized mechanical noise transference to the mic". 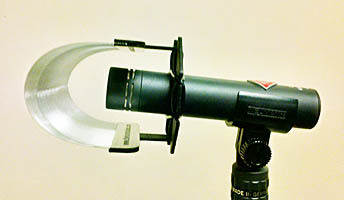 "I bought two large size MD-175-70 Mechanical Decouplers and the standard size MD-150-70. 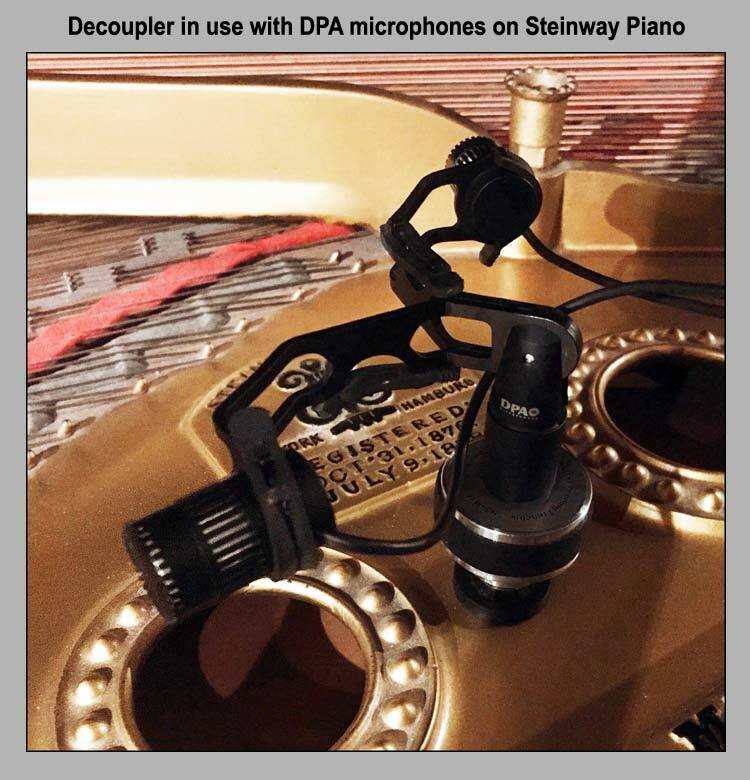 My primary use has been recording live piano with Neumann KM 256 small diameter Mics on stands on a poorly dampened wooden floor. I found the decouplers to markedly limit the 'drum' effect from the floor through the mike stands, and/or the stands themselves. This also increased clarity and focus on the instrument. A good product I say, and well worth the price!" 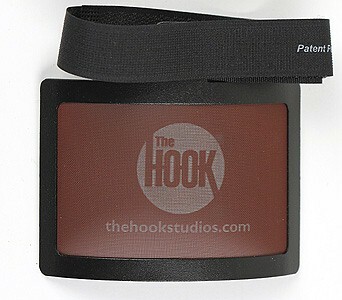 The Hook Studios' patented* hand built pop filter screens eliminate the need for awkward goosenecks or improvised attachments. 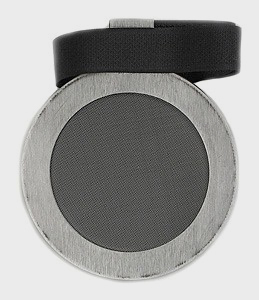 On our strap models, an easy-to-use ©Velcro strip allows the filter screen to attach directly to virtually any professional microphone - new or old. 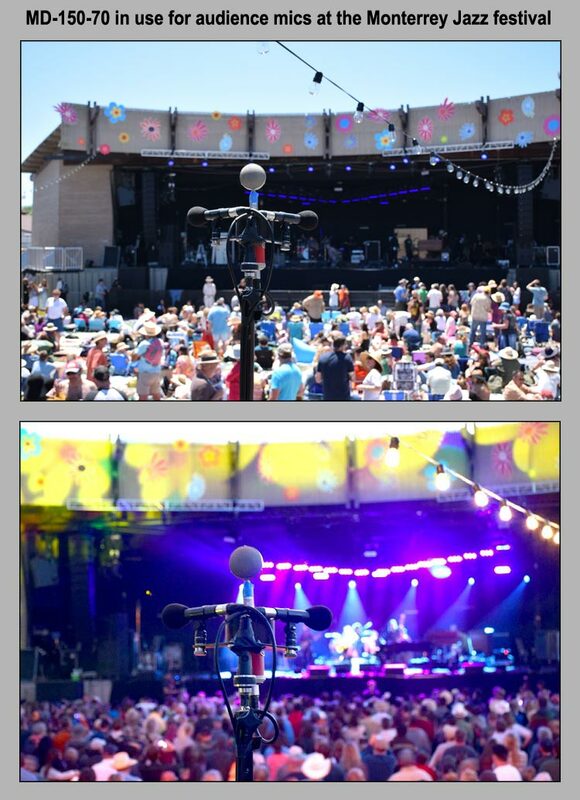 Indispensable for multiple mic setups, these filters are ideal for recording situations where space is at a premium. Browse samples of our extensive product line below. To purchase one of our current sale items, please visit our Ebay auctions. 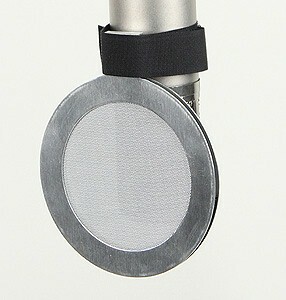 The Octo-842S and our Mini Pop Filters are also available from B&H Photo. 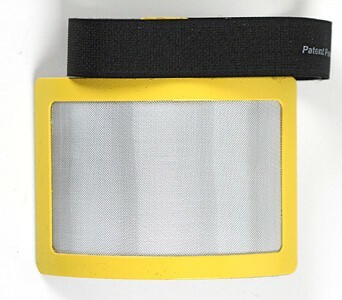 Some of our most popular filters are also available on Amazon. If you are interested in purchasing other items or require additional info, please contact us. 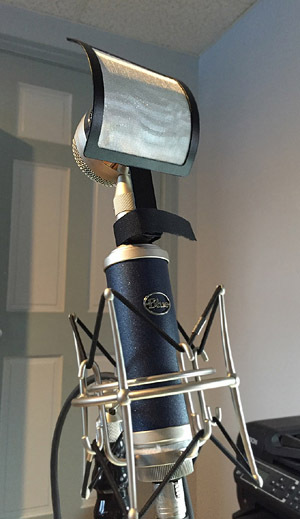 Ideal for voice-over and narration but versatile enough for other studio applications, The Hook Octo-842S is much more sonically transparent than foam type windscreens. 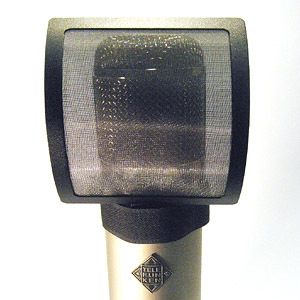 This innovative filter installs by simply sliding it directly over the microphone body, allowing easy adjustment of the mic capsule distance from 1/4" to 1-1/2". 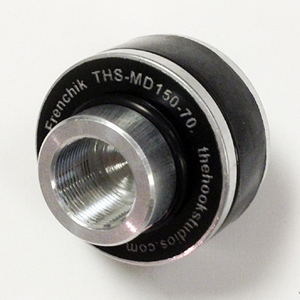 The precision mounted rubber O-rings keep the filter on target and on axis. 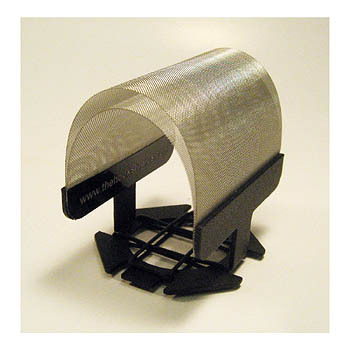 Weighing less than one ounce, the frame is fabricated from light weight aluminum with a durable powder coat finish and features dual "Acoustex" screens. 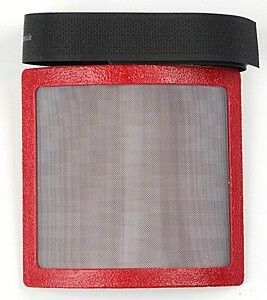 Silver and black screens are available as stock items. Contact us if you require custom configurations. 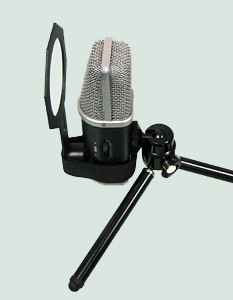 The Octo-842S is shown here mounted on typical microphones. 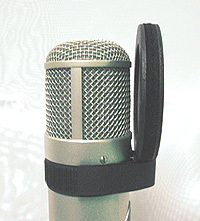 Clockwise from left; Neumann KM 84, Sennheiser MK-416, and Shure KSM141. 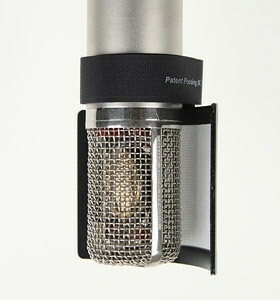 See a review of this pop filter on You Tube. 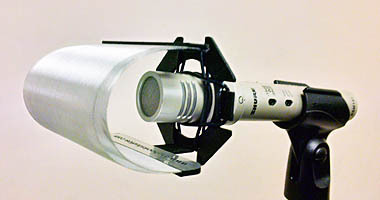 To purchase The Hook Octo-842S, please visit B&H Photo. 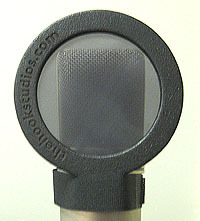 Most of our pop filter models are available as single units or in quantities. Please inquire if you are interested in stand mount versions. 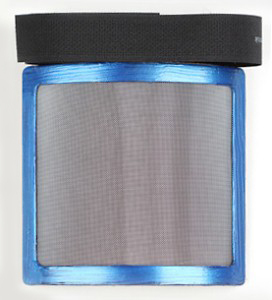 We currently offer an aluminum frame version of our popular filters in various configurations and colors. Stock frame colors are black & gray. To order filters by phone, or to customize the front with your logo of an artist, manufacturer, studio, etc. (additional fee applies), please contact us. 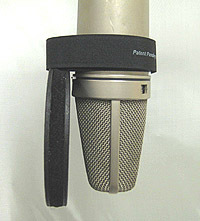 Vertically curved frame with a dual layer Acoustex screen, shown here mounted on a vintage Telefunken U47. Outside frame dimensions are 3.625" wide x 4.375" high. 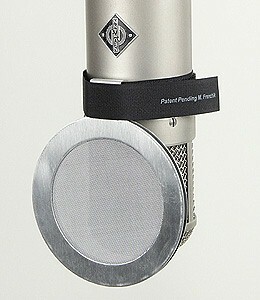 Hook Studios #375 vertically curved "long stem" strap filter, mounted here on a Blue Bottle Rocket microphone. 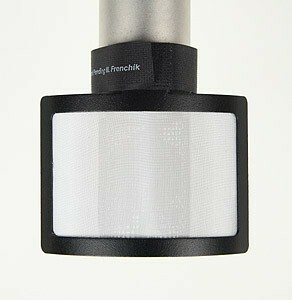 This filter is very popular for use with Apogee mics as well. 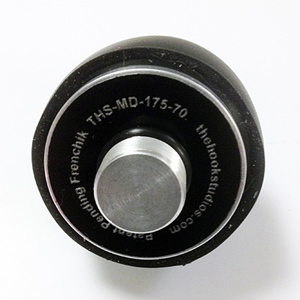 Our latest mini filter features a compact octagonal aluminum frame with a sleek, black powder coat finish. The aluminum structure is stronger than comparable materials, yet still weighs less than one ounce. A single black Acoustex hyphobe screen stops moisture from reaching the capsule - the #1 reason for degraded sonic performance of any microphone. 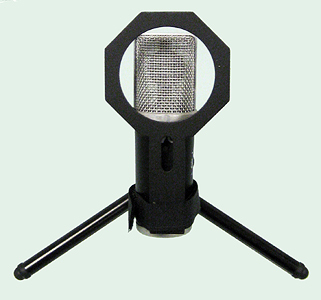 Designed for Apogee mics but usable with other makes, this model replaces our earlier acrylic version. 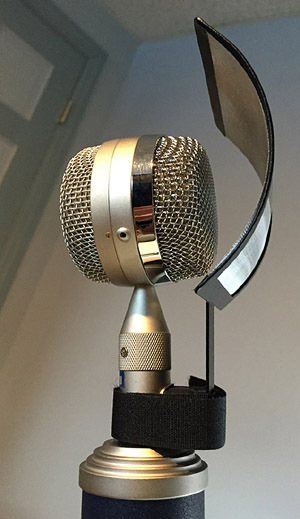 A wider upgraded super-soft hub offers a better fit to the microphone body but retains the patented adjustable strap used in our prior design. 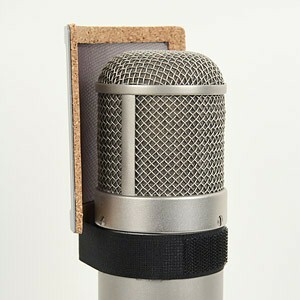 Like all our pop filters, this one is handcrafted in the USA. 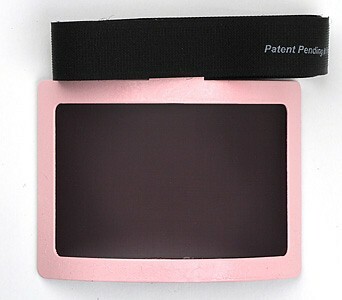 To purchase the TH-PF8-S filter, please visit Ebay. To inquire about our other products, please contact us.